1.Individually evolve Prismacolor's Premier product line to become the preferred choice for professional artist & designers. Prismacolor is a brand of professional artists' supplies that produces colored pencils, pastels and art markers currently owned and operated by Newell Brands. Thoughtful features that compliment an artist's technique. Help keep the artist in their immersed, focussed state. The experience should leave the artist feeling like the person they aspire to be. Its got to work every time, quality is key. "If Prismacolor is not selling color pencils and markers, what are they selling?" We believe Prismacolor can leverage their expertise to fulfill their brand promise of 'Artists Achieving Mastery'. Looking towards the future we see focussing on the professional market means focusing on digital as well. Children are being raised with screens not paper - How can we design tools for this generation? Skills needed to draw on paper are not easily transferable to digital devices - How can we solve for this problem? Adult coloring is a growing market for Prismacolor - How can we cater to this market? Prismacolor Level Up is a tablet based learning and drawing tool catered to enthusiasts who aspire to learn professional techniques and professionals who seek to Level Up on their skills. Through our Level Up product, we grow our user base and cater to new segments such as high school kids, art programs and adult coloring users that aspire to a new level of creation. By understanding our users behavior through data analytics, we start exploring opportunities in gesture recognition & predictive analytics. We are still producing color pencils and art markers with volumes depending on market demand. 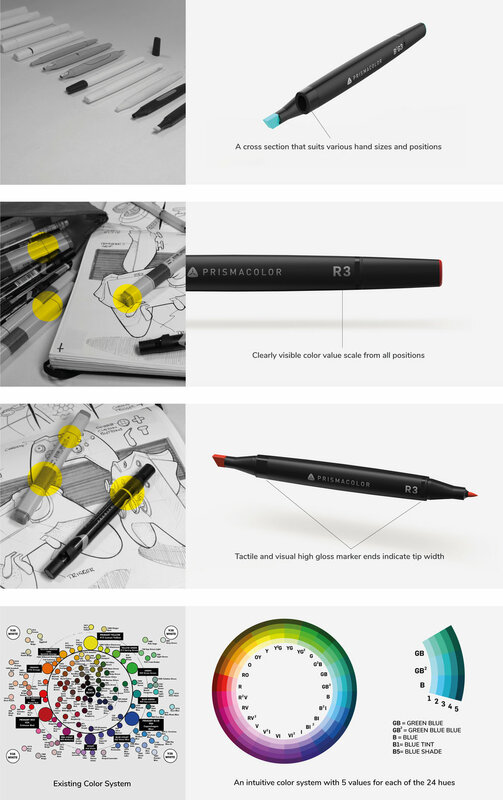 Prismacolor is in the business of making everyone creative through smart drawing. What is smart drawing? it is using your preferences to make your drawing work faster, more beautiful and expressive. Prismacolor helps convey your idea to the best of its possibilities through aids learnt through your drawing style and preferences.